- Build concept is similar with Blademaster, Trickster, and Warder that using Beronath, Reforged to convert Elemental Damage to Physical Damage. 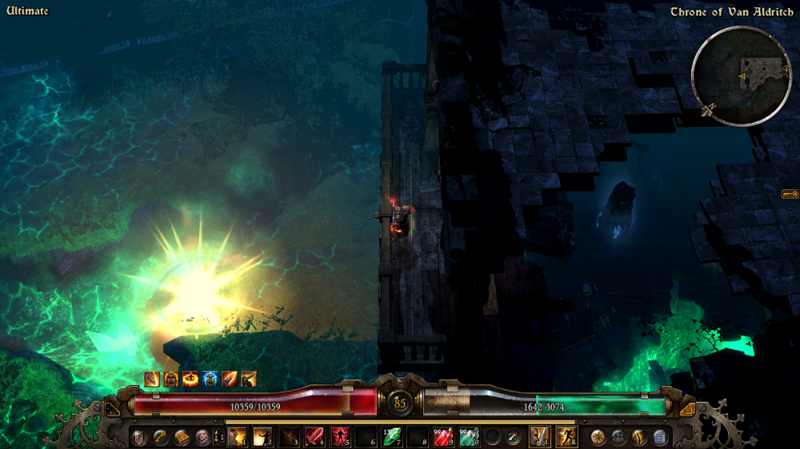 - This time, besides Leviathan's Whirlpool, I use Meteor from Annihilation Relic for additional cool elemental skill. - Annihilation has +1 to All Skills in Demolitionist, Flat Fire Damage, and Physical Damage Booster. 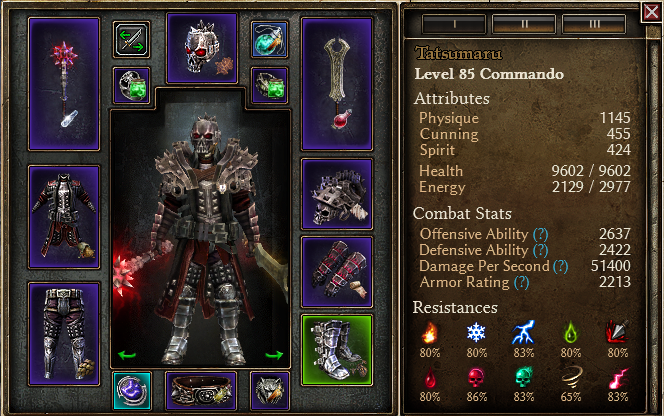 - Actually we can also use other relics like Oleron's Wrath, Blademaster's Talisman, Avenger, or Ulzuin's Pyroclasm. - After trying with several builds using Beronath conversion, I think that if we want exclusively use the weapon for converting elemental, we need to take a look about energy regen. It takes 5 Active Energy cost per Second. It's better if we invest good enough spirit, so we shouldn't have difficult time when using skills in combat. Spirit investment may vary between builds, it depends on the gear, components, devotions constellation taken, and the mastery skills used. My point is, for some builds, we may can't take "usual" route to put a little point into Spirit for jewelry/gear and rest to Physique. Otherwise, we may have difficult time in combat due to lost of energy. Elixir of Spirit cooldown is not as friendly as old time. Some devotion constellation can help us to maintain our energy like Owl, Dryad, Scales of Ulcama, Viper, Tree of Life Healing Rain, Oklaine's Lantern. 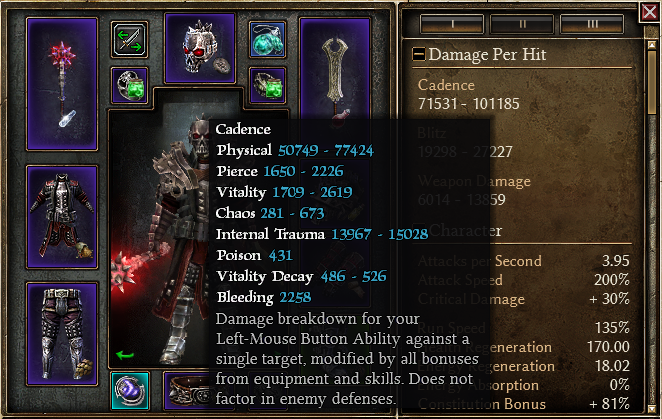 In this build I invest 20 points into Spirit, 10 points to Cunning (In order to equip Reaver's Claw for Pierce Commando testing purpose), and rest into Physique. 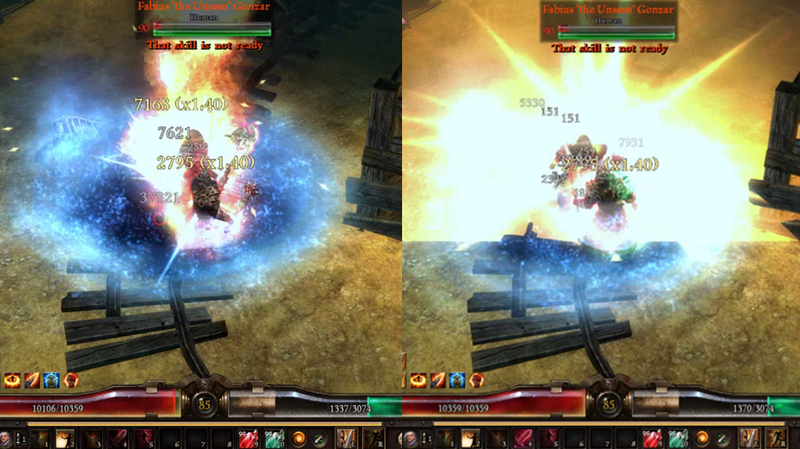 Annihilation's Meteor has 334 Energy Cost, it's high enough. I use Ectoplasm on Rings for maintains the energy regen. Again, this one is also feels like Hybrid Melee Caster. Oleron's Might is our Meteor Shower 'button' with 100% Chance on Attack. Flashbang is our Leviathan Aeon's Caller. It's nice (you can see it in action on the new video uploaded), actually it would be Cool if the Constellations have Physical Damage boosting (% Physical Damage). Well, in my opinion, as Tier-3 Constellations the Procs are not too great. Spear of the Heavens procs have a low damage, short AoE (only 0.5 meter), and too slow with 1 Second Skill Recharge hits one by one the opponents. Even some peoples avoid it in it's original state as Aether - Lightning procs, and save the last point elsewhere. In the name of Damage, Light of Empyrion procs also is not good enough. 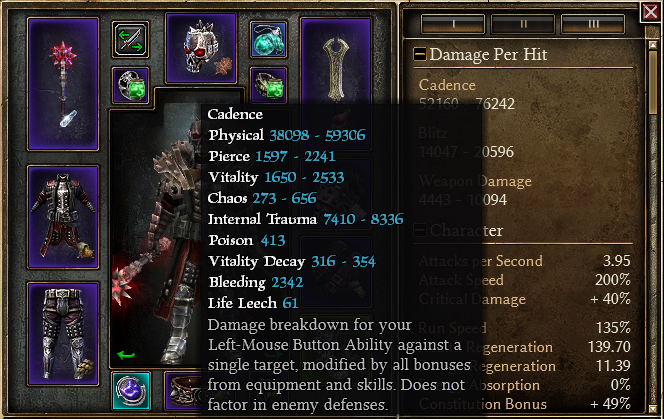 It's Chance of Confuse, Damage Reduction, wider AoE, more Resistances, and perhaps the Racial Damage are the pros. It's cooldown also a little bit too long. The Procs also passive, and could be bound to any passive skills. A Sword and Board version also nice, combine with maxed Counter Strike. I recommended using this setup with a Witchblade or Battlemage, since they have Skills for additonal Physical RR. Last edited by TZ Tz; 07-20-2017 at 11:49 AM. Cool, I really like conversion builds and this looks really strong. I also made a commando using the beronath with a different approach, focus on tankiness and elemental procs. It works ok but it took me almost a minute to kill mad queen. Works better in crucible. Use pyrocalsm, much more dmg and no energy consumption. 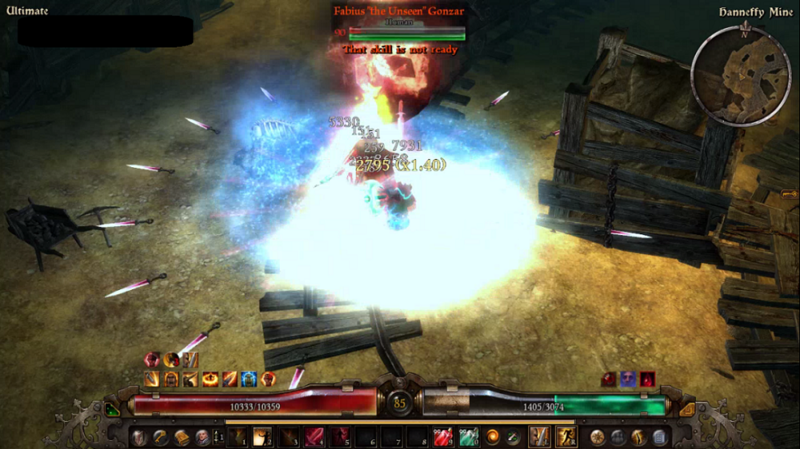 I made Annihilation this week to see if the skill was as weak as people said it was. I made Anihilation just because I had 2 Ulzuin's Pyroclasms lying around (still cost me leg and an arm) and tested it on my sorcerer. What an underwhelming relic. That meteor spell although very strong is useless in most situatons because of the low radius and big cooldown. On a different note, all builds right now kinda look the same with Warborns/Shard of Beronath and ele > phys conversion. I've added the Avenger relic on the post. Also agree with Ulzuin's Pyroclasm. Last edited by TZ Tz; 07-15-2017 at 10:56 PM. Well, Annihilation cost is very Hot. New Beronath, Reforged is very cool idea from Devs that open more variaty to Physical builds. Could we imagine Trickster, Conjurer, Saboteur, Pyromancer, Spellbreaker, Witch Hunter, Elementalist, Sorcerer, or perhaps a Druid become a physical builds before? Physical builds used to be need to be paired with a Soldier Mastery. Now it's even better builds variations. Last edited by TZ Tz; 07-15-2017 at 11:30 PM.